Firearms officers in London are to start wearing video cameras to record evidence of their actions, the Metropolitan police commissioner, Sir Bernard Hogan Howe, said on Thursday. 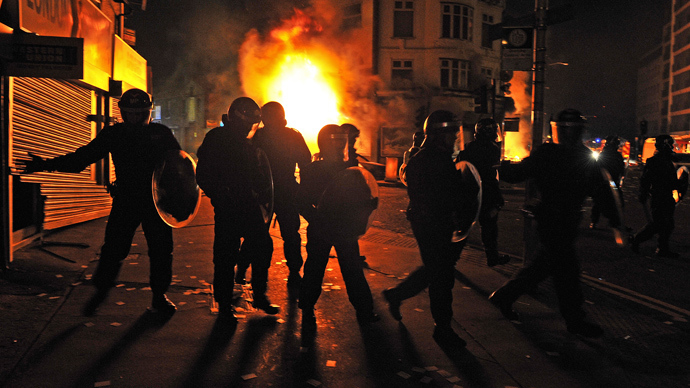 The decision follows the death of Mark Duggan, who was shot dead by British police, sparking mass riots in 2011. Although the policemen who shot Mr. Duggan believed he was armed at the time, evidence has come to light that in fact he was unarmed and did not pose a direct threat to either of the two officers involved. A four month inquest concluded on Wednesday that although the 29-year old had a gun in the minicab he was travelling in, he most likely threw it away as soon as his car was stopped by police. 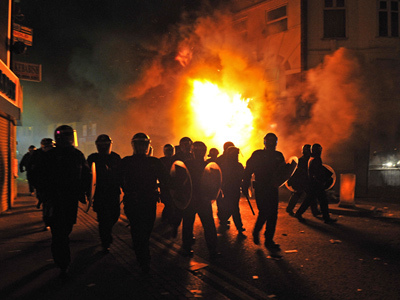 The weapon was later found about six meters away from where Mark Duggan was shot. Although the jury concluded that the police acted lawfully, Sir Bernard said that officers will trial the use of body-worn video cameras to enable them “to be more open when it comes to the investigations that follow these events.” Thames Valley Police, who look after the Oxford area, already use cameras. Sir Bernard will also meet with community leaders in the London borough of Haringey, where Tottenham is located, to discuss how public confidence in the police can be improved. The move to make the Metropolitan Police wear body cameras is aimed at building up trust among the community. “We’ll begin a trial this year in which firearms officers are issued with body-worn video cameras to record actions of officers and those they are dealing with. 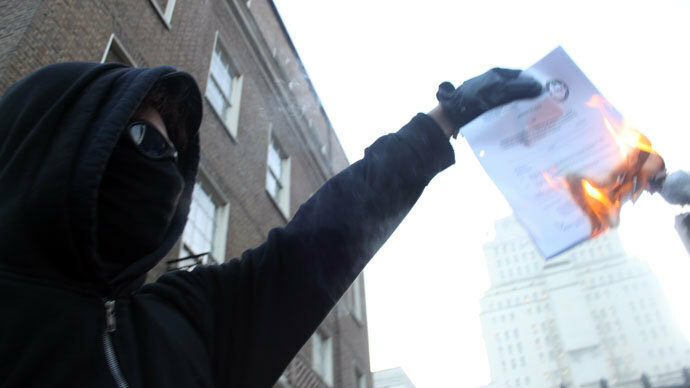 We want to see if this is an effective way to record evidence and ensure public confidence,” said the police chief. 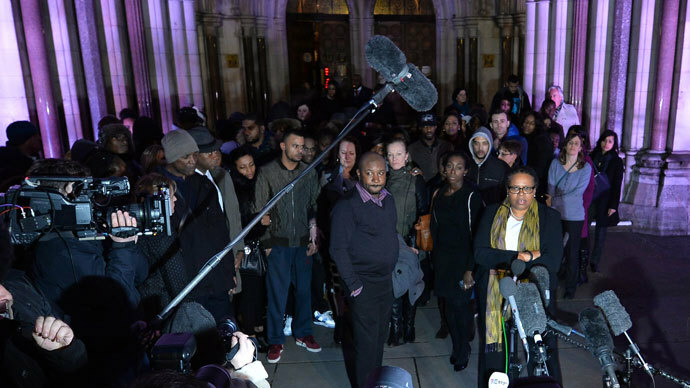 Family and friends of Mark Duggan reacted furiously to the inquests findings, calling the police murderers and hurling abuse at the jury of seven women and three men at the Royal Courts of Justice in London. Despite the ruling, Sir Bernard said he sympathizes with Mr. Duggan’s family and friends for their loss. “My sympathy is with Mr Duggan's family at the loss of their loved one, and with the communities affected by the consequences of his death. "I welcome the verdict of a jury that our officers acted lawfully when they confronted an armed criminal who they believed posed a threat to them and to the public. But I recognize that some in the community are still angry at Mr Duggan's death,” Sir Bernard said. He added that he hoped Londoners would be able to accept the verdict of the jury. The Independent Police Complaints Commission (IPCC) is currently conducting a separate investigation into Mr. Duggan’s death. His family is also considering whether to apply for the decision of the Jury to be judicially reviewed.